Today we’ll be going over how to configure an RSS Reader to easily aggregate Upwork job searches in an easy to read manner. For those that aren’t familiar, RSS (Rich Site Summary) is a protocol that has been around for a long time (Since about 1999) intended to help aggregate content from various sources. Despite it’s decrease in usage, RSS remains an invaluable tool for those who are trying to easily ingest a large amount of information from different sources. 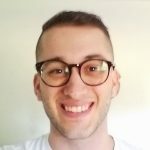 Many of the websites you visit (Including Upwork!) support RSS feeds. To utilize RSS you use a Feed Reader. The solution we’ll be going over in this article is a free SaaS solution called Feedly. Feedly has a web application and mobile applications for both iOS and Android. For those of you that prefer to use self hosted or native applications, there are numerous options out there (Many of them are FOSS). You’ll notice I have a number of categories on the side for different subjects such as Work, News, and Gaming so I can easily review the content I care about at the time. Write a proposal for each job. The above is relatively inefficient, it requires you to go through their website and utilize their often slow interface. The interface for saving jobs for writing a proposal later is cumbersome. It’s also easy to end up looking at the same jobs over and over. Overall, it’s not an enjoyable process. You create searches on Upwork that match the jobs you want. You want to do this in a way that doesn’t have too many false positives or false negatives. I prefer to have a search for project based work and hourly work. You visit Feedly, click on the RSS feed you want to review. Open all the jobs you feel are relevant to you or even save them for later review with the click of the button. When you’re through reviewing that days search, simply mark all as read. When you come back tomorrow you’ll have a fresh feed of jobs you haven’t reviewed. Just go back to step 3. 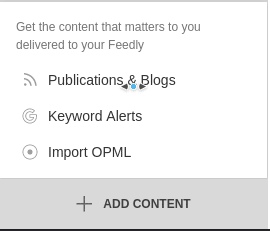 In my experience, the Feedly interface has been easier to work with, provides more features, is faster, and reduces the likelyhood that you keep seeing the same jobs over and over again (this can still be an issue if your searches are handled poorly. You can also aggregate other content that matters to you, such as professional journals. I’m sold, how do I set this up? Sign up for a free account at Feedly. In Upwork, configure the search to your liking. You can include or exclude certain words, narrow down by country, experience level, and more. Protip: 99% of the time, there is no point in including entry level jobs. This translates to “We’re going to pay someone $3 an hour for this”. After you configure your search, save it to a name of your liking. This will be what it appears in Feedly. You might want to use something like “Programming (Hourly)” or similar. If you aren’t redirected, go back to the “Find Work” page on Upwork and click your the search link on the left. Click the small right circle on the right and select “RSS”. Go back to Feedly. Click add content (Bottom left corner) and select “Publications and Blogs”. Paste the link you got in Section 6 into the box in the middle of the screen. A drop down will pop up with a single selection. Select this source and categorize it to your liking. You’re done! Now you can select the source you added on the left side and start finding work. Hopefully this new workflow helps improve your ability to source work and ingest data quickly. 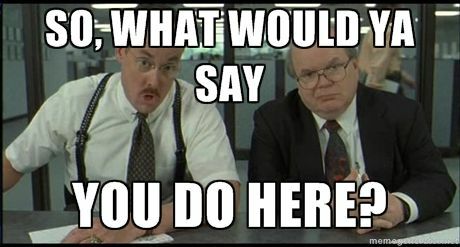 If you know of anyone that requires a Linux Systems Administrator or Automation Engineer to help with their infrastructure, I hope you won’t hesitate to send them my way. Feel free to comment if you have any question! What is an Infrastructure Automation Engineer? This is absolutely brilliant. I use IFTTT but I’ll make sure I check Feedly out. Thanks. Glad you enjoyed it Tejas! RSS is one of those tools that got lost in the shuffle of all the new web technologies but has stood the test of time in regards to usefulness. You can easily add this site as well if you’d like to keep up with my writing :D.
Hi Robert, thank you for this very useful information! However, to me personally it would be a great tool if I could get notifications every time a new job is posted. Is it possible with RSS? If I’m not mistaken, it’s very likely possible to setup push notifications on your phone or desktop with Feedly. If you find Feedly doesn’t support that, feel free to try another RSS reader that has that feature. There are tons!